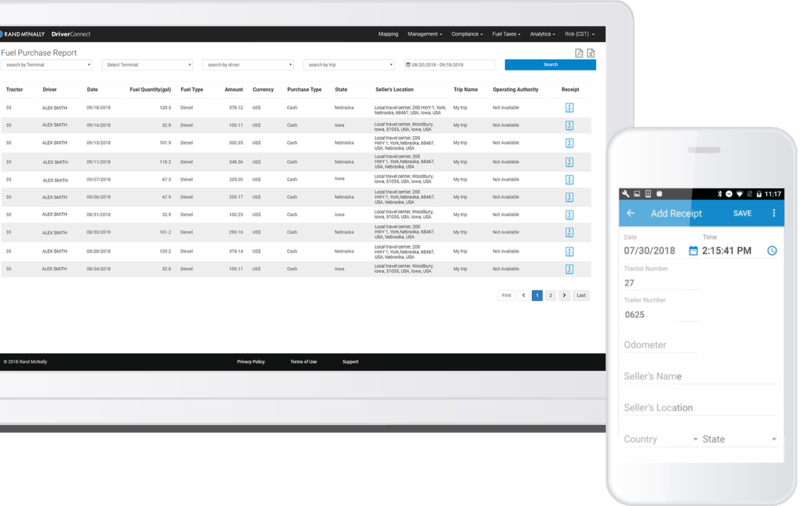 Easily manage IFTA compliance with customized reports that includes fuel purchases, state mileages, and state crossings — all through the DriverConnect platform. 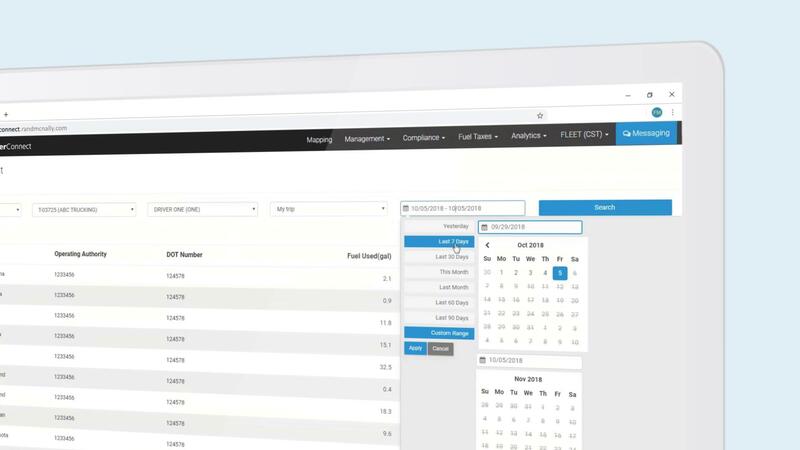 Drivers can upload fuel purchases to the DriverConnect app, as well as copies of their receipts, reducing manual processes and the risk of clerical errors. Once the driver uploads the purchase, the data is immediately available in the DriverConnect web portal for review. While some fleet systems only use the odometer to measure distance, the Rand McNally DriverConnect platform uses the odometer and speed to more precisely calculate distance traveled in each state — increasing the accuracy of reports and reducing audit risks. When it’s time to file, it’s easy to create customized reports in the DriverConnect portal and export them either as a PDF or an Excel document.